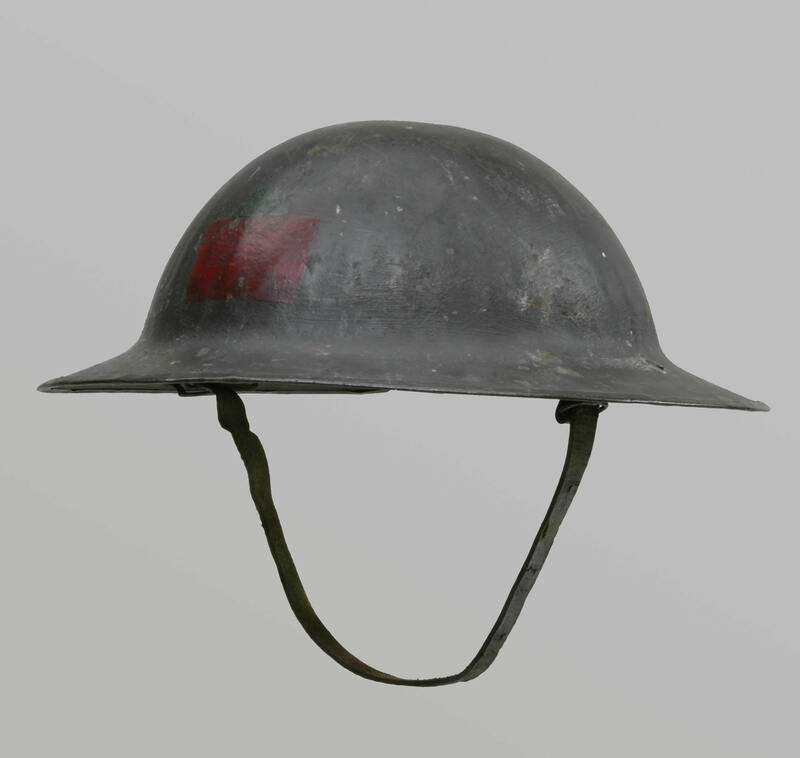 Helmets, first used at the battle of St. Eloi in Spring 1916, were introduced to help reduce the number of head wounds due to shrapnel and shell fragments. A helmet generally could not stop a bullet fired directly at its wearer. The red rectangle on the front of this helmet indicates its owner served in the 2nd Infantry Battalion.